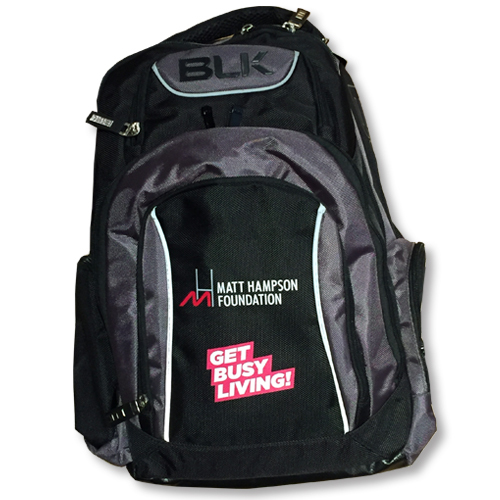 Matt Hampson Foundation BLK backpack. This backpack is ideal for any day trip, there's plenty of storage in the main compartment, with a padded tablet/laptop pocket and plenty of zipped pockets for keys and drinks. Approximately 48cm high, 36cm wide when flat and has a depth of around 15cm when pulled out in the middle, this narrows to around 12cm at the bottom.